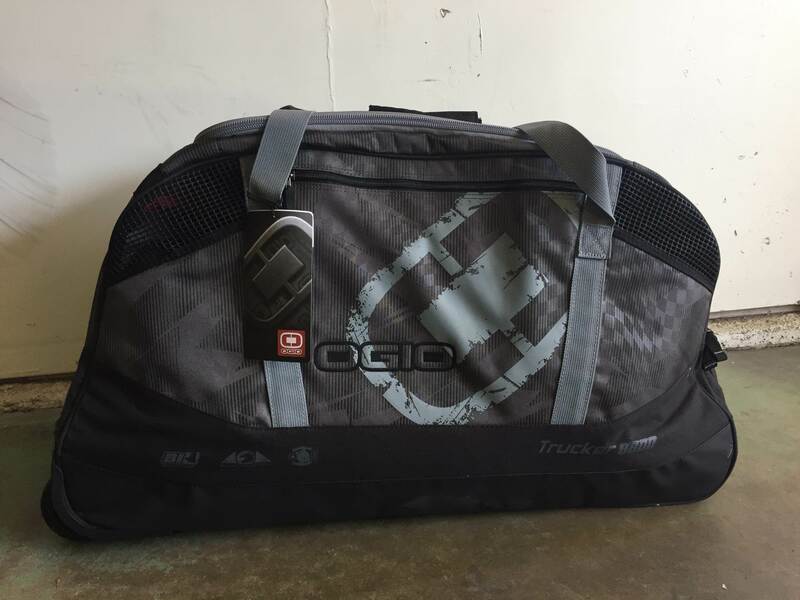 Up for sale is an Ogio Trucker 8800 bag. Bought brand new, never ended up using it. Still has tags on it! This bag is a great size to use for travel, or to store motorcycle gear for being on the go. It even has a helmet compartment that you can use, which would be just fine for football, hockey, baseball, offroad or other sports gear as well. Let me know if you have any other questions, thanks for looking. Price dropped to $100. These retail for $160 new, and it still has tags and is unused.